Dream World is rife with magic, and everything is going smoothly for Captain Hawkins Hayward until he finds a young boy and saves him from drowning. Only that boy, Percival Payne, is anything but grateful. As that boy grows up, his resentment and hatred only grow. Such anger causes Percival to resort to drastic measures to try to claim Dream World as his. Hawkins may have to find a way to go to the other world, to Fantasia and other kingdoms, to find aid. The magic there is almost entirely dead, but Dream World just might be what the witches and shifters need. Perhaps both worlds can be saved… or destroyed. 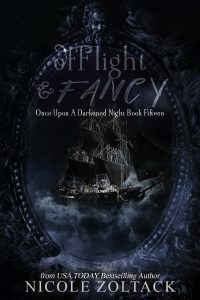 Of Flight and Fancy includes the short story The Cost of Hatred.